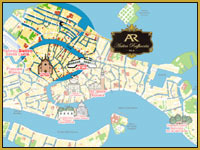 The "Antica Raffineria" holiday rooms are located in one of the most historic and peaceful parts of the city: the Fondamenta della Misericordia in the district of Cannaregio. The building is located right at the end of the main street, easy to reach while at the same time away from the bustle of the city centre. 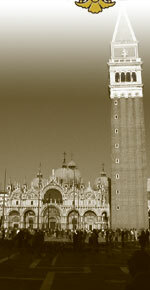 Our accommodation is within easy reach of the main places of interest: the Jewish Ghetto with its museum and synagogues, the Campo dei Mori with its famous statues and the majestic Church of the Madonna dell'Orto. 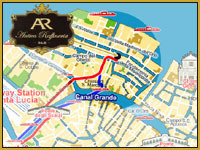 Just three minutes away from the Antica Raffineria is the famous Venice casino at Cà Vendramin Calergi facing the Canal Grande.